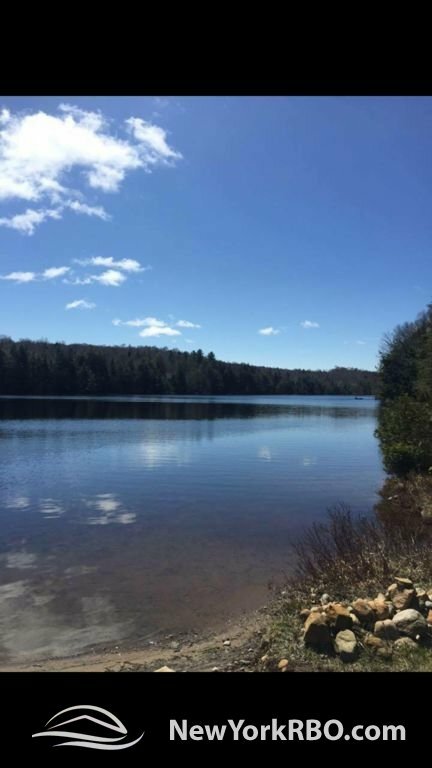 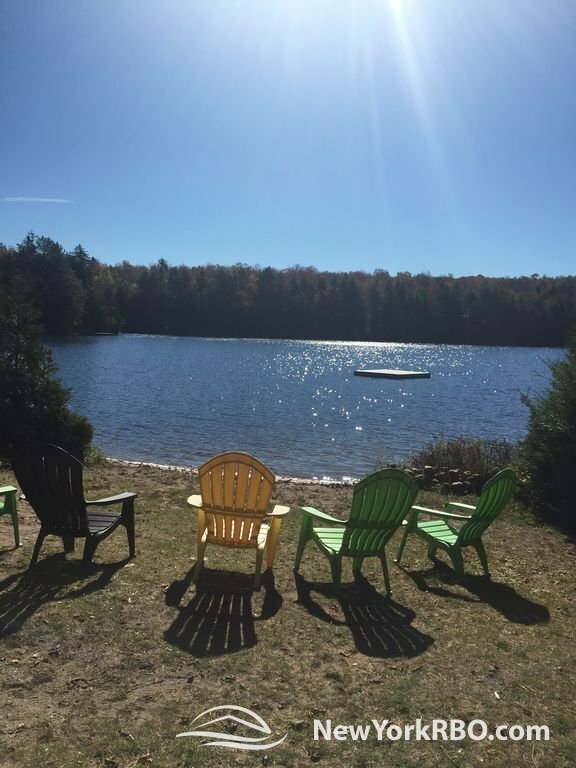 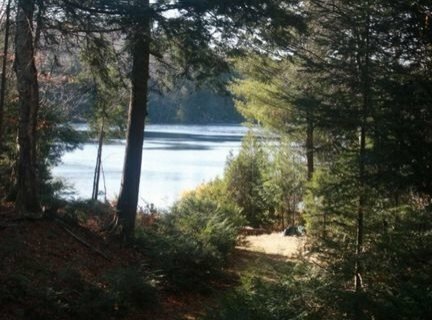 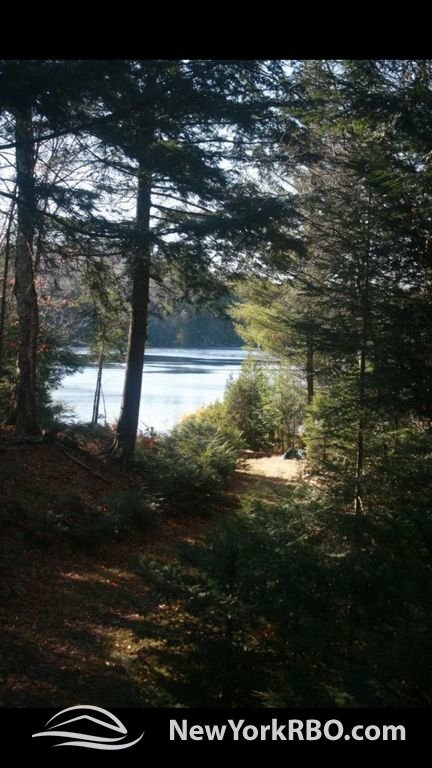 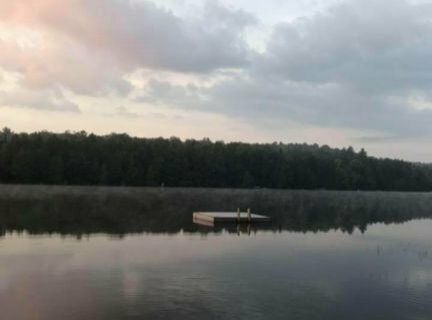 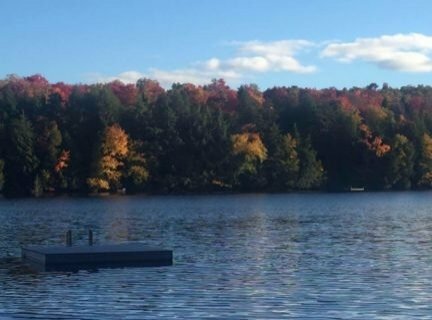 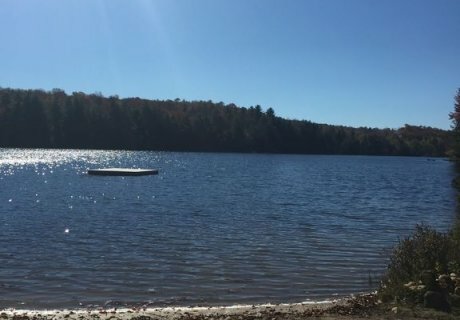 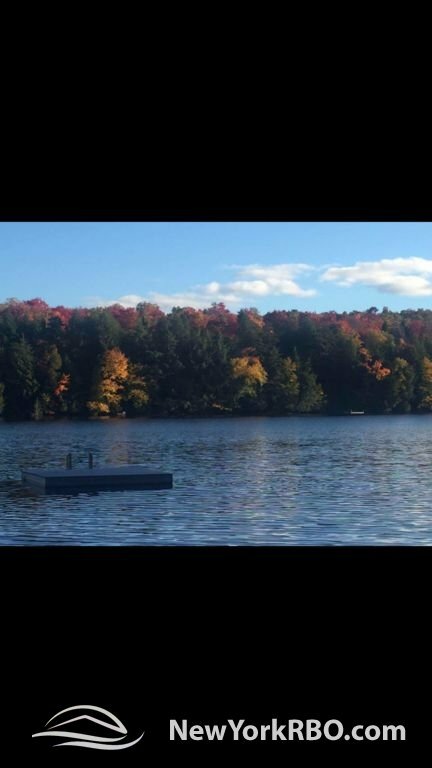 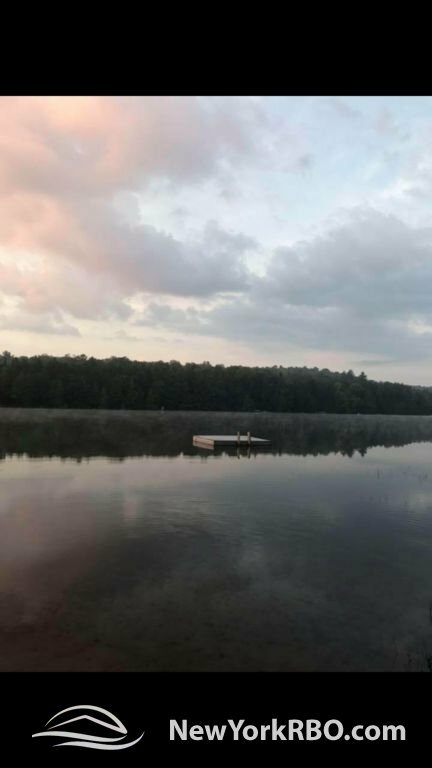 The best of both worlds: A comfy, 5-bedroom family camp with a secluded setting and a large, sandy waterfront with tranquil waters on private, pristine, Lake Okara, just 3.5 miles from Old Forge, one of the most exciting, entertaining towns in the Adirondacks. 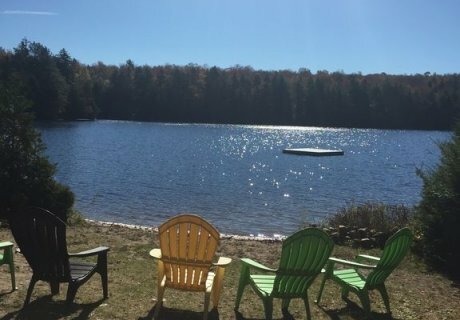 Spend the day on the water; swimming, kayaking, paddle boarding, canoeing, fishing, or just laying in the sun, catching up on conversations, or that great summer read, in the sole company of friends and loved ones. 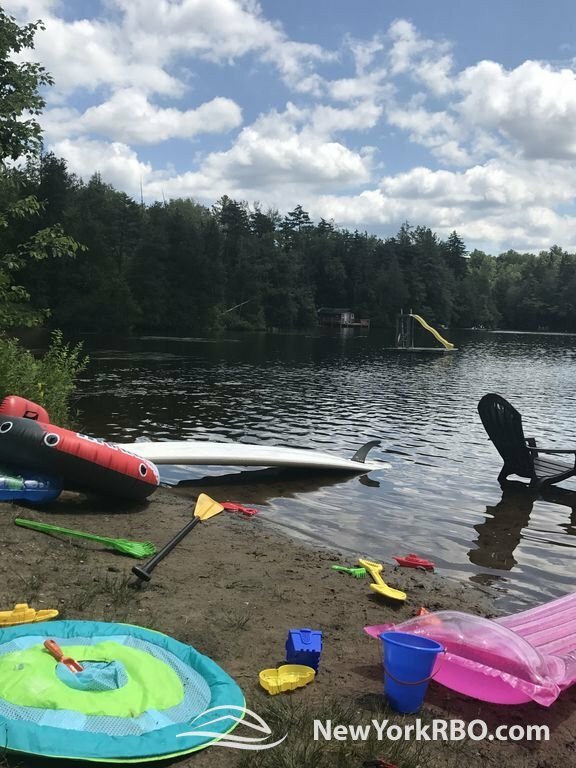 The private beach is sandy and goes out gradually, making it the ideal place for small children to wade or learn to swim. 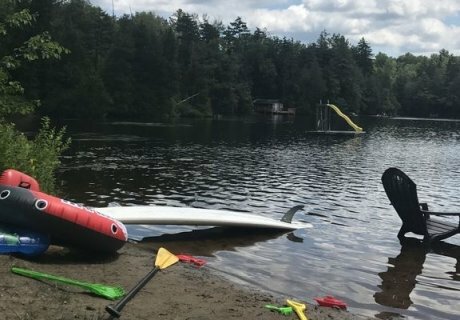 The raft is great for sunbathing, horseplay, or just having fun. 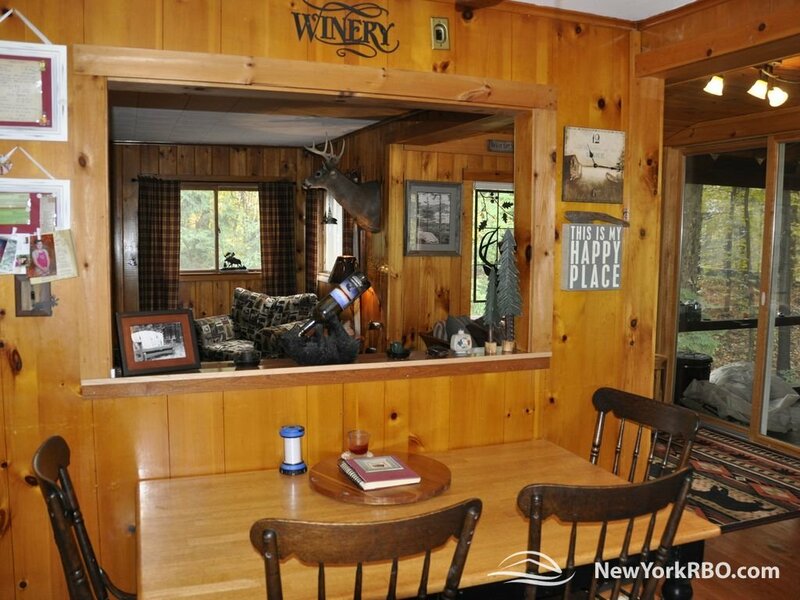 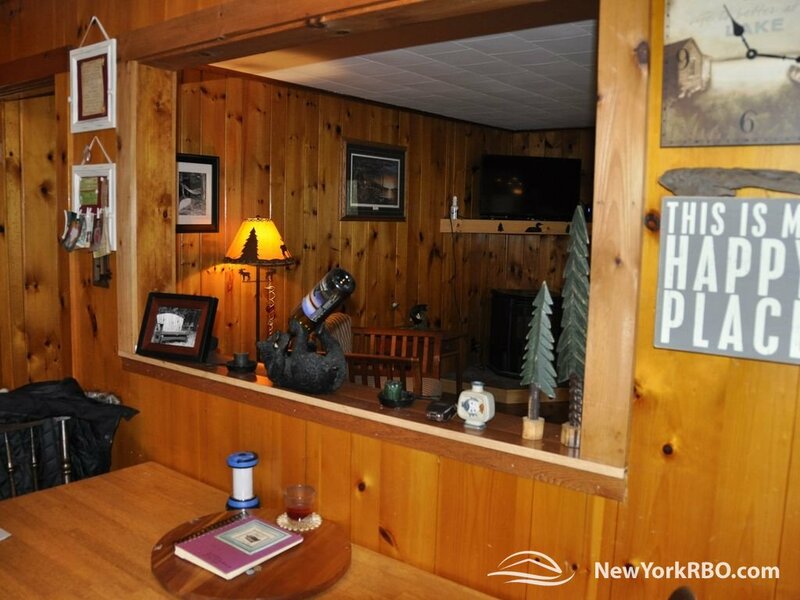 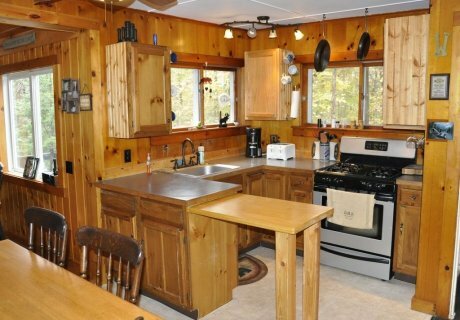 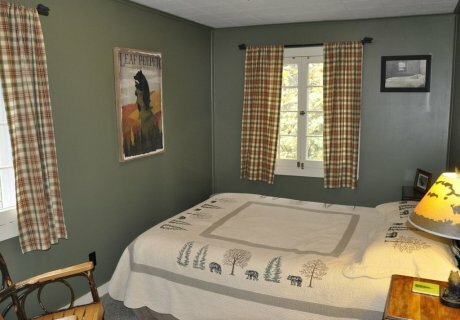 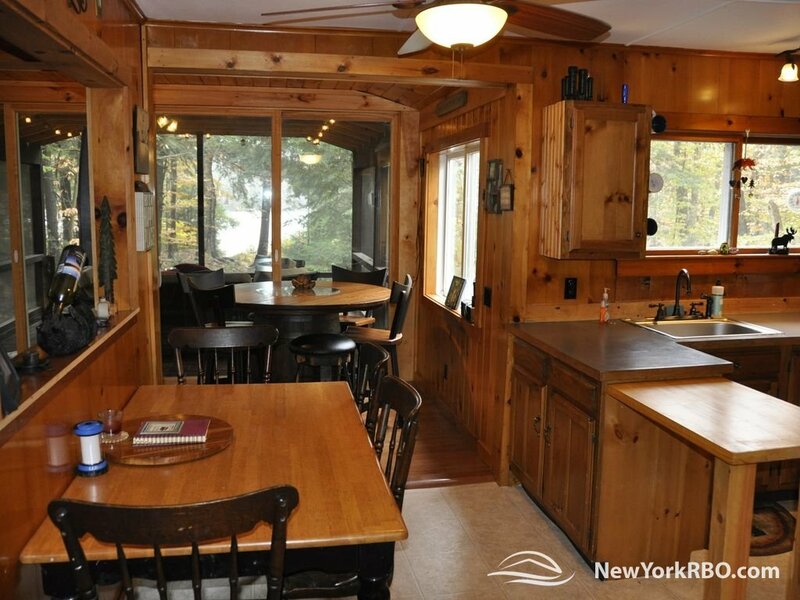 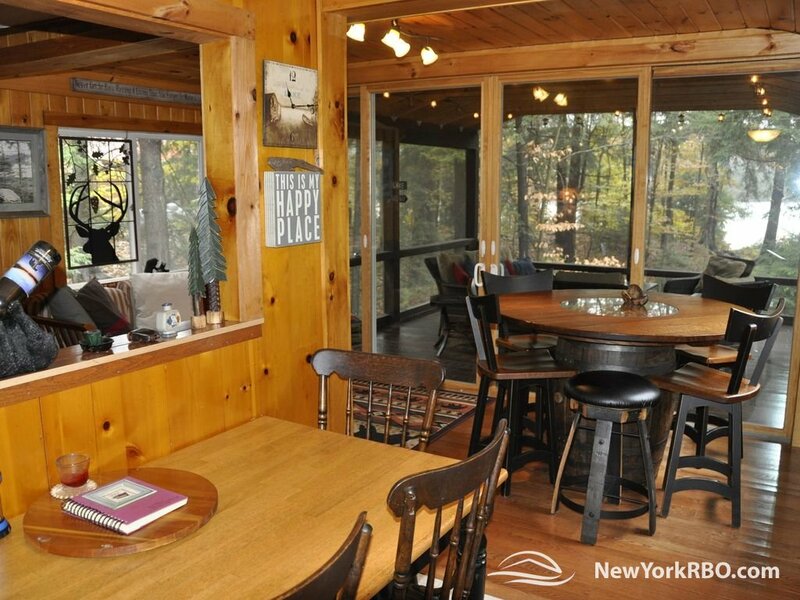 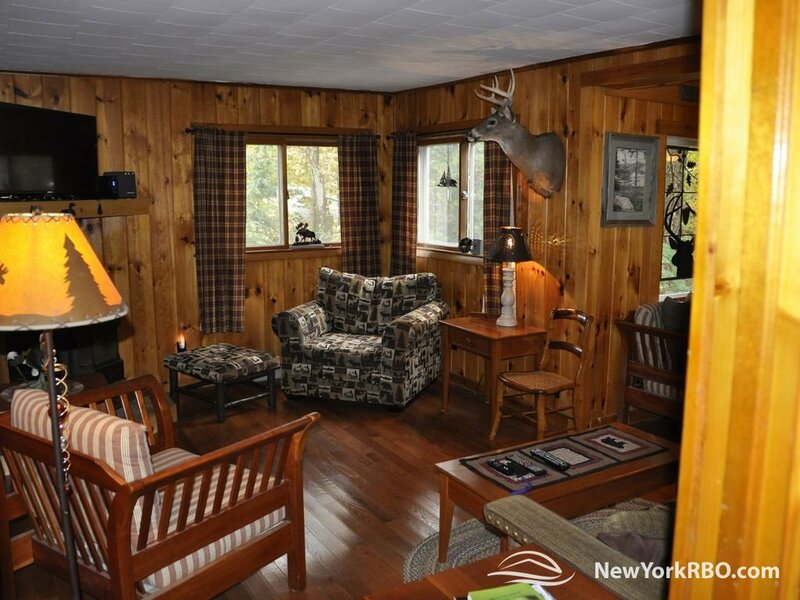 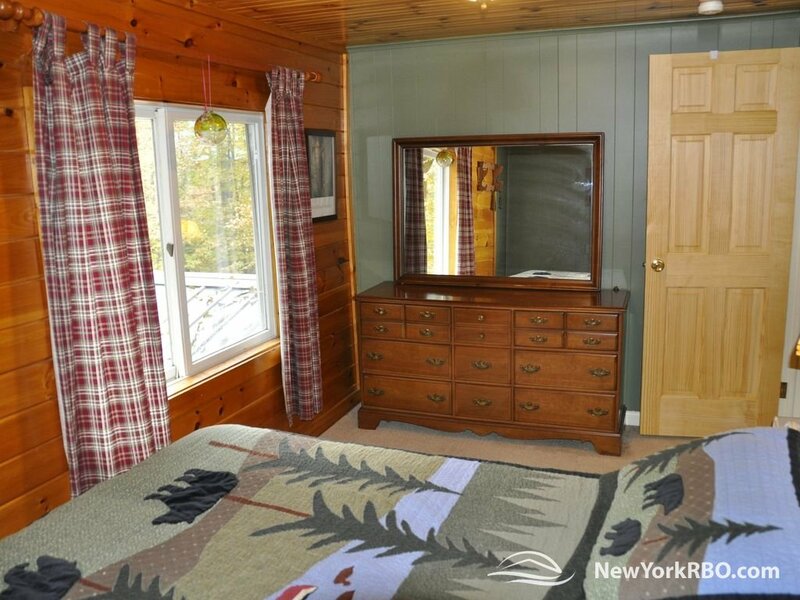 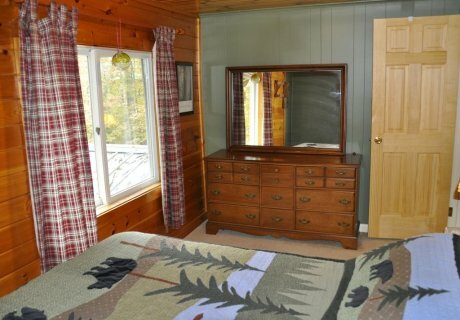 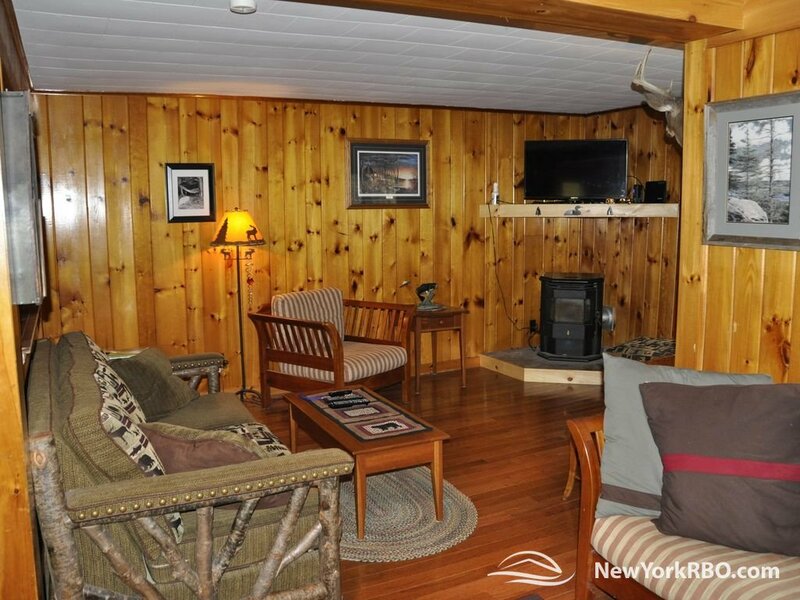 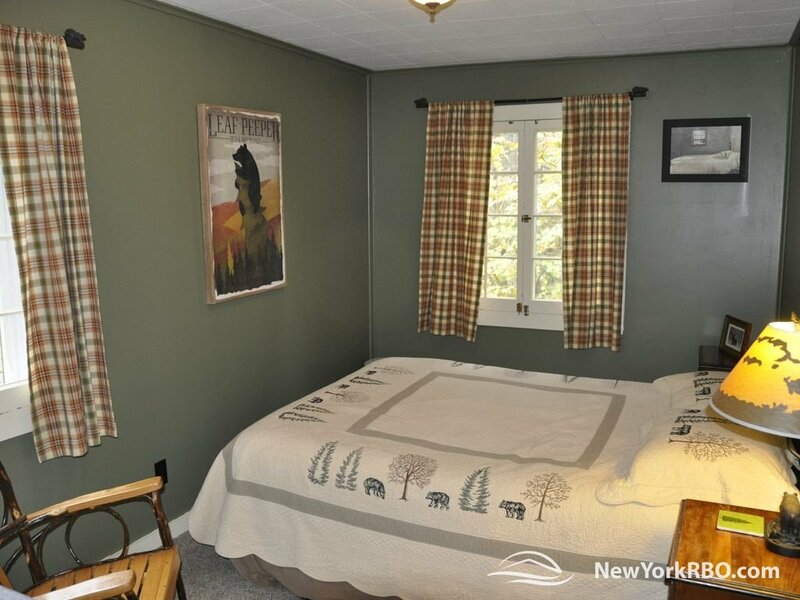 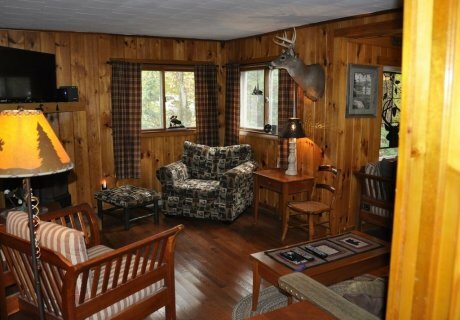 When it’s time to come in, you have a spacious, 10 room, Adirondack style, year-round camp with knotty pine throughout and all the comforts of home. 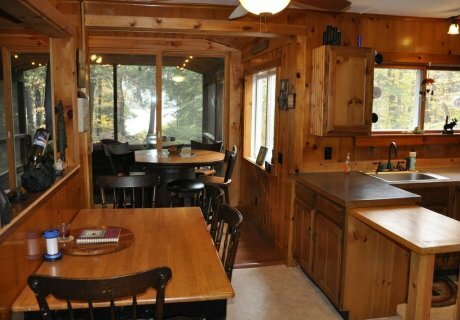 The Kitchen is centrally positioned and nicely appointed with lots of cabinets and counter space, updated appliances, a breakfast nook, views of the lake, and easy access to all the first-floor rooms. 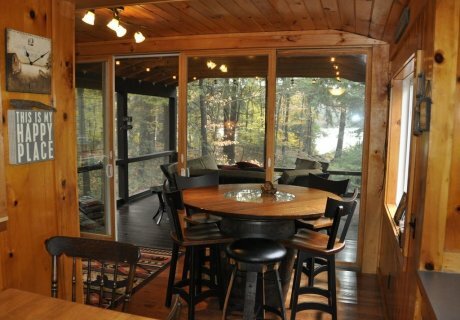 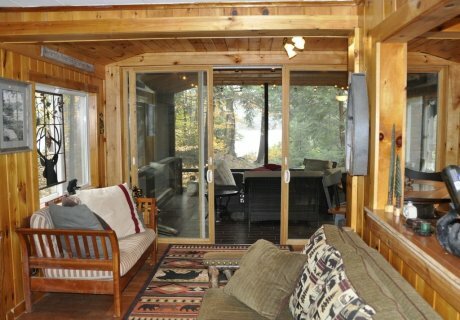 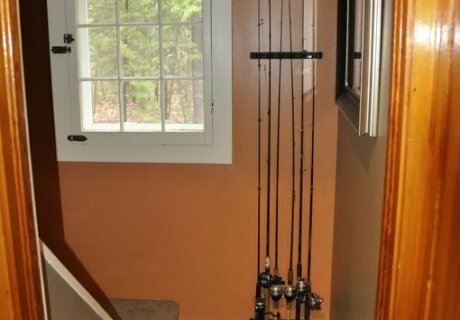 Chances are good you’ll spend much of your time in the screened porch with nice views of the pathway and the lake itself. 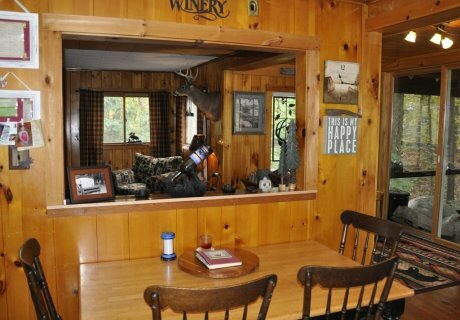 The seating is comfortable and best of all, the central table has a gas fire pit built right in. 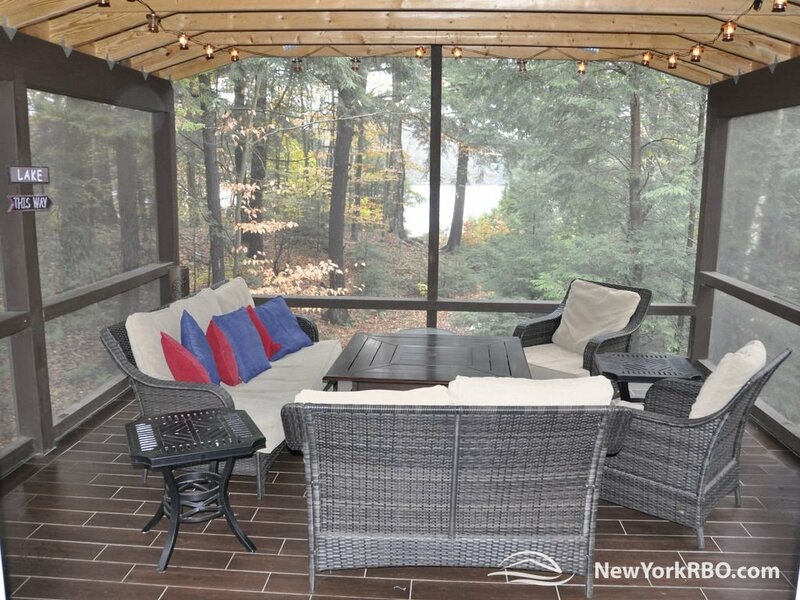 This is the perfect spot to sip your favorite beverages, enjoy snacks and hor d’oeuvres, fireside chats, or simply stare into the fire; without ever having to swat a bug. 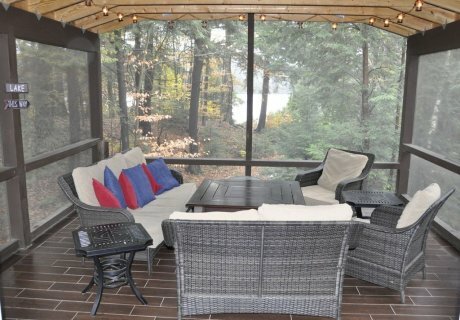 You can also enjoy the wood-burning fire pit by the water’s edge. 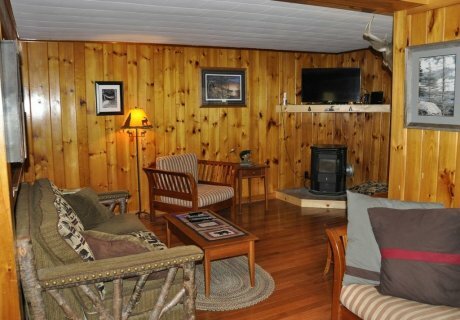 There’s nothing quite like the crackling of a fire, the smell of the wood smoke, the flickering flames, and the true ambience of a wood fire. 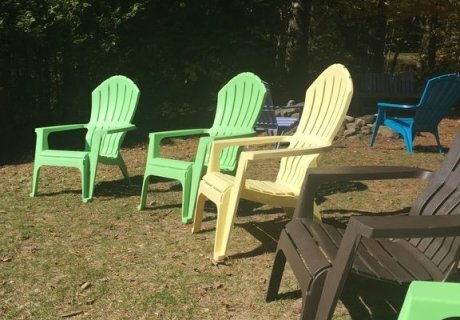 Great for camp songs and S’mores too! 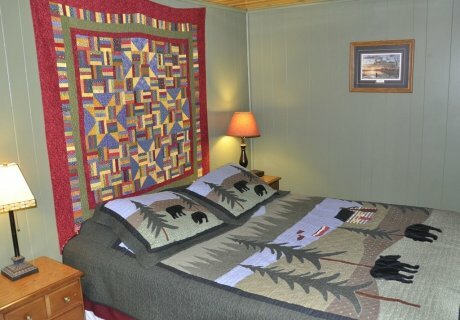 When it’s time to turn in, there are beds for 9: 2 queens, 2 doubles, and a twin. 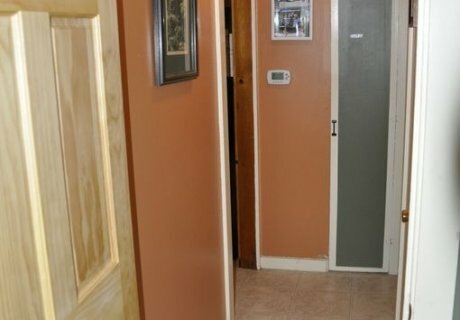 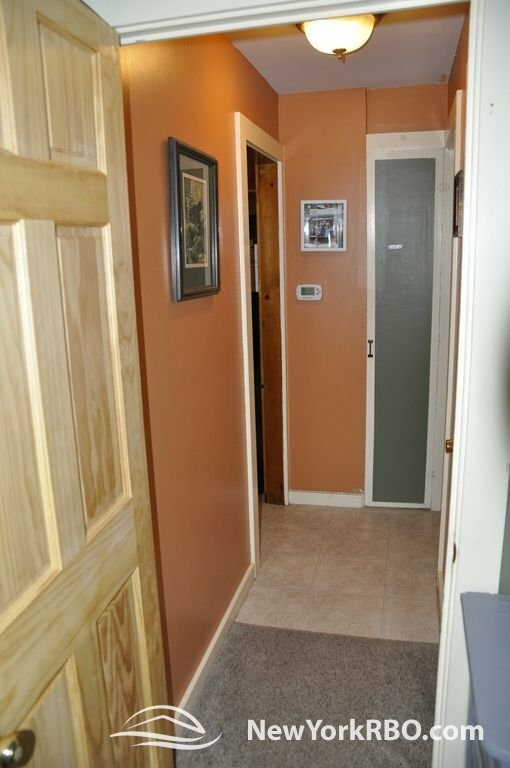 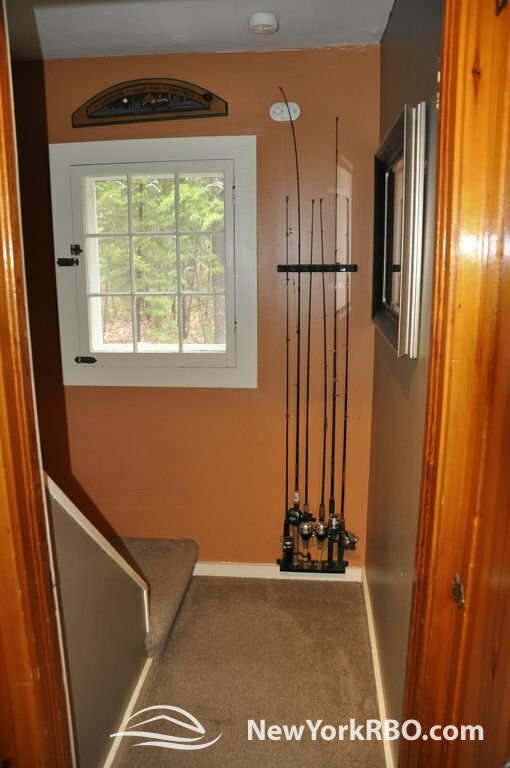 The half bath on the second floor is just steps from any bedroom. 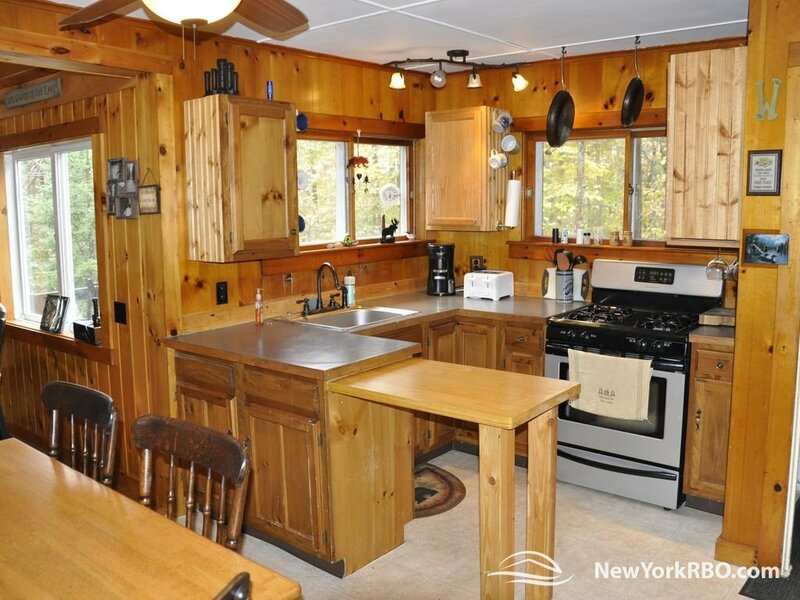 Wake up to the smell of coffee brewing, and the wonderful aromas of your favorite breakfast foods. 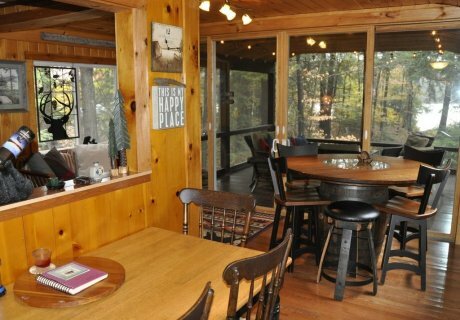 Hustle downstairs to greet the early risers, rub the sleep from your eyes, and plan to have the time of your life at this Little bit of Heaven affectionately named, “Camp Someday”. 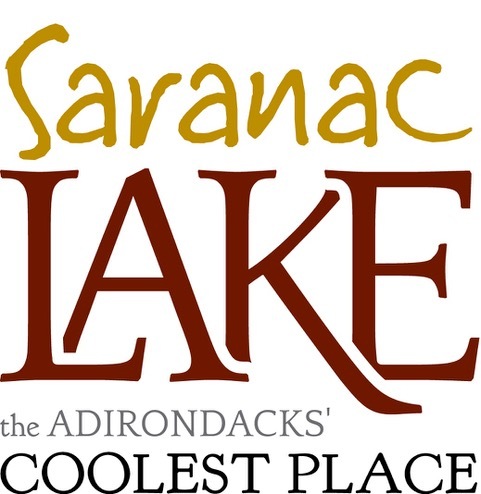 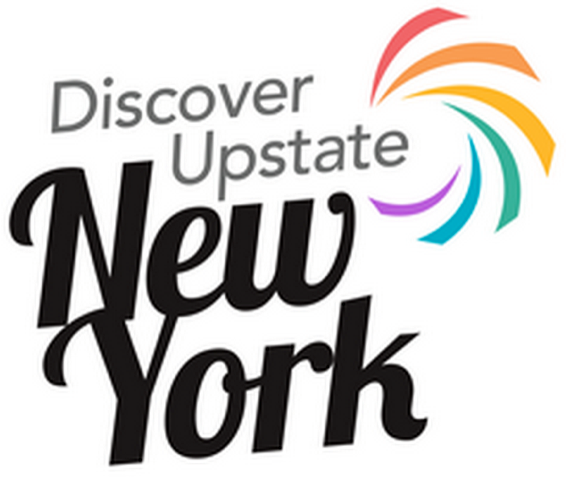 If you’re looking for adventure, Old Forge is just 5 minutes away and offers many exciting things to do, like “Enchanted Forest/Water Safari”, New York’s largest water theme park, Calypso’s Cove Family Entertainment Center, museums and galleries, a movie theatre, Old Forge Lake Cruises, countless places to shop, and one of the best hardware stores in America. 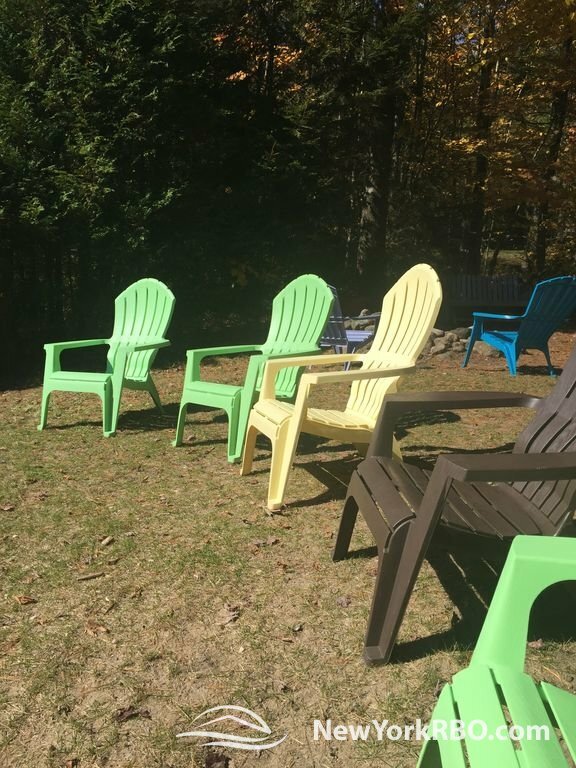 You can even take a chair lift at McCauley Mountain, just 2.5 miles away, and see the incredible views in the summer, or ski the 21 slopes and trails in the winter. 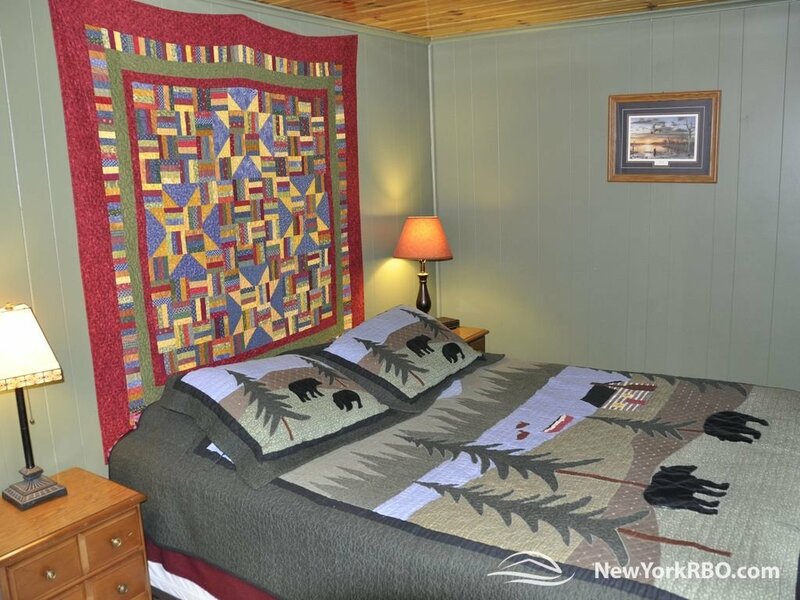 It’s open all year long, so don’t hesitate to call if you are looking for a place to stay during the winter months. 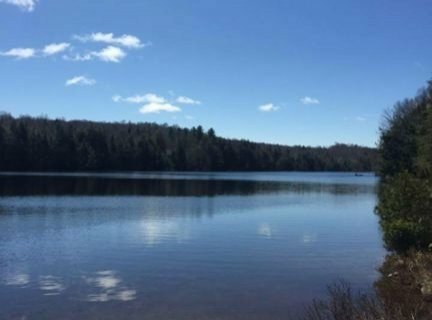 The Fulton Chain Lakes region is one of the best know snowmobiling places in the Northeast and McCauley Mountain Ski Resort is just around the corner. 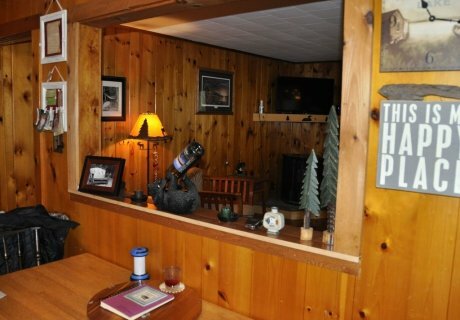 The town is bustling too. 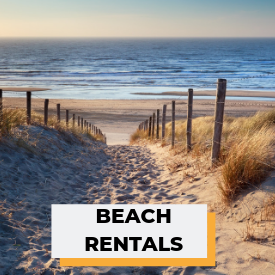 Long-term rentals are available in the shoulder seasons and winter months as well. 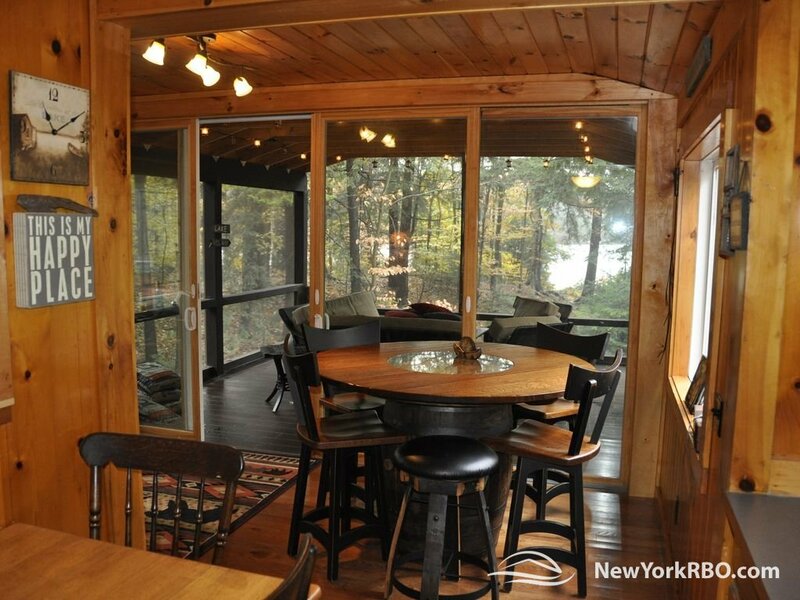 Peace, privacy, serenity, beauty, and outright fun are awaiting you. 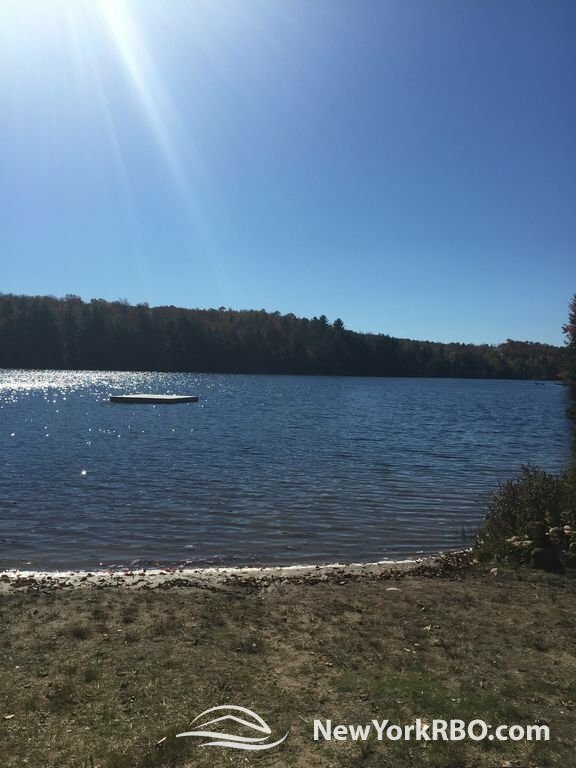 Plan to stay at “Camp Someday” now, and create memories that will last a lifetime. 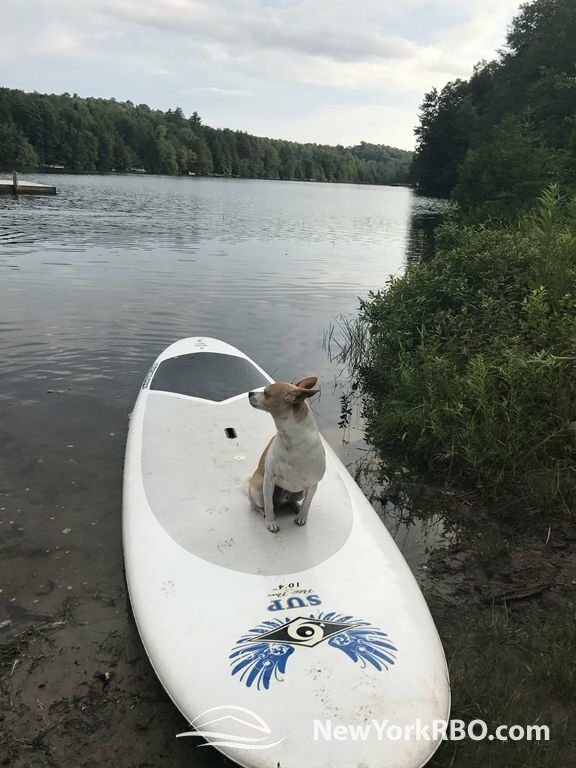 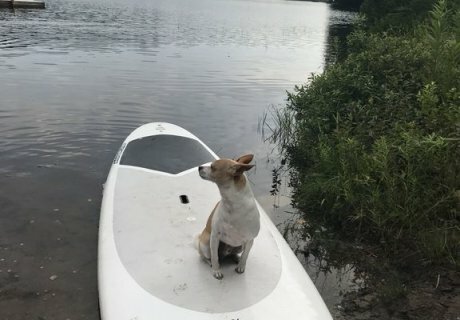 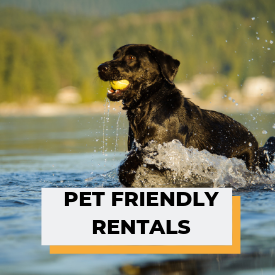 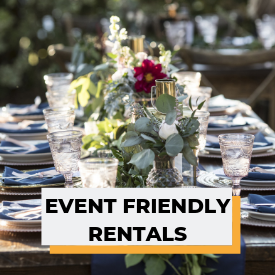 Rental services provided by Adirondack Lakefront Property Management, Inc.
Pets will be considered after speaking with the reservations manager. 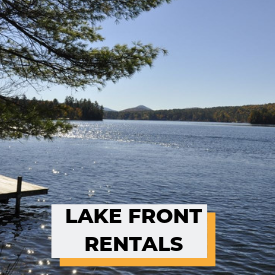 Call for information about long-term rental options for fall/winter/spring.